JOHNSON’s 24 HOUR Moisture Oil Spray with almond and soy oils, provides 24-hour hydration while restoring your skin’s natural shine. 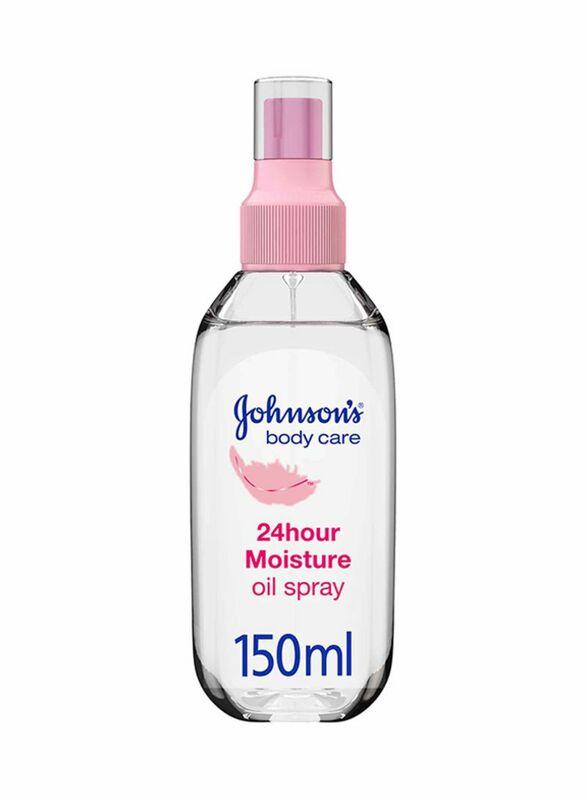 Perfect for daily use on normal to dry skin, JOHNSON’s 24 HOUR Moisture Oil Spray is soft textured and non-greasy, and soaks in rapidly to boost hydration to leave your skin feeling softer all day long. Keep your skin feeling beautifully soft with JOHNSON’s 24 HOUR Moisture Oil Spray! Spray onto wet skin and massage gently. Locks in moisture for 24H when applied on wet skin.